Hi, I would like to purchase a broom from your company. I tried to call you today but unfortunately could only connect with your fax line. Have you been able to speak to Geoff or Rob at the Factory? Hi im from Ballarat Wholefoods Collective and we would like to stock your brooms plesse. I live in Adelaide and I have been looking for a decent straw broom. I don’t need 10 just 1 as they last a long time. Hello I’m looking at getting 7 kids brooms and 7 woodshed outside brooms, would like to know the cost of each broom. Do you ship to new Zealand?? Or have a supplier that we can buy from. What price are your brooms. Hi How much are your brooms and do you ship to Toowoomba? Hi Bridget. I am from Toowoomba and will be down in the Tumut region. I am thinking of going to the factory, so maybe I can help you. How much will it cost me to have a box of 12 brooms shipped to busselton WA 6280? my name is Shaun Cummins ( friend of Ron Lewin), we have met a few times over beers at Rons house. I’m the skinny blond dude but doesn’t matter anyway I saw your feature on Homes and Gardens , which was great by the way. I am in the Shipping Container Homes business and was wondering if I could have a quick chat to you regarding things like , did you have to pay the producers of the show for the “advertorial” content , or were they more interested in the good story. Also how long was it between shooting the show till presenting to television audiences. If you could call me anytime you are free I would really appreciate it. When you call, I’ll hang up and ring you back to save you call costs. Cheers Shaun. Mob. 0420 220 009. I would like to buy 6 off your brooms, is it better I go thru Bunnings or eBay or you direct, I’m a Aussie, ? Personal use on verandas in darwin? 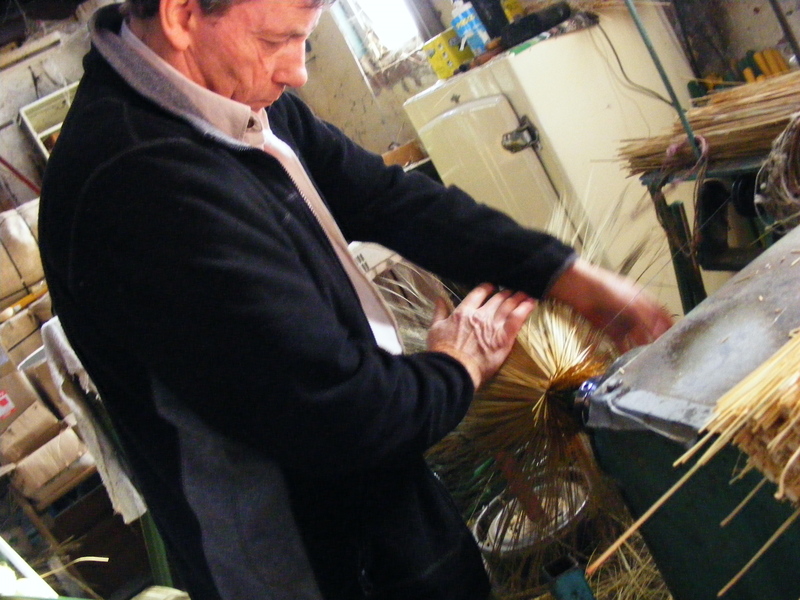 Hi Paul, please refer to our newly added stockists page: https://tumutbroomfactory.com/stockists to see where you can purchase our brooms. The Woolshed Broom is the best for verandas! Love your work, where can I buy one in sydney please? Who stocks your brooms on the Central Coast? 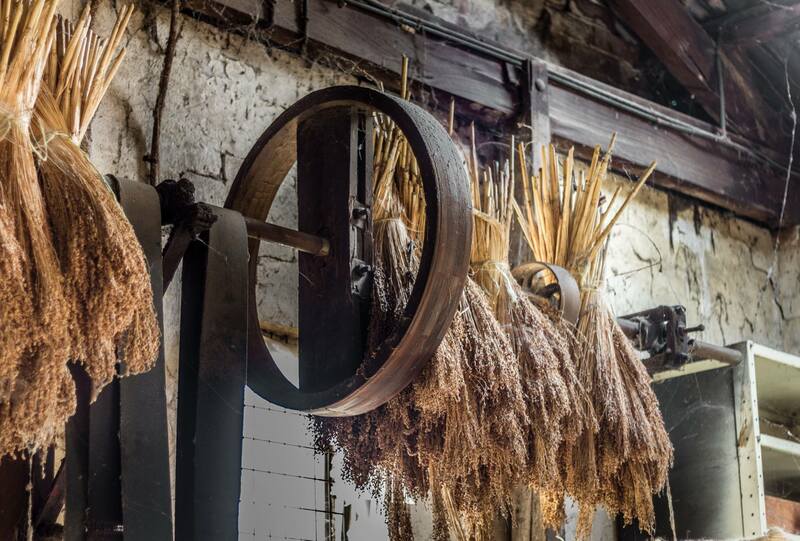 Where could I purchase one of YOUR brooms in the Northern Rivers of NSW? 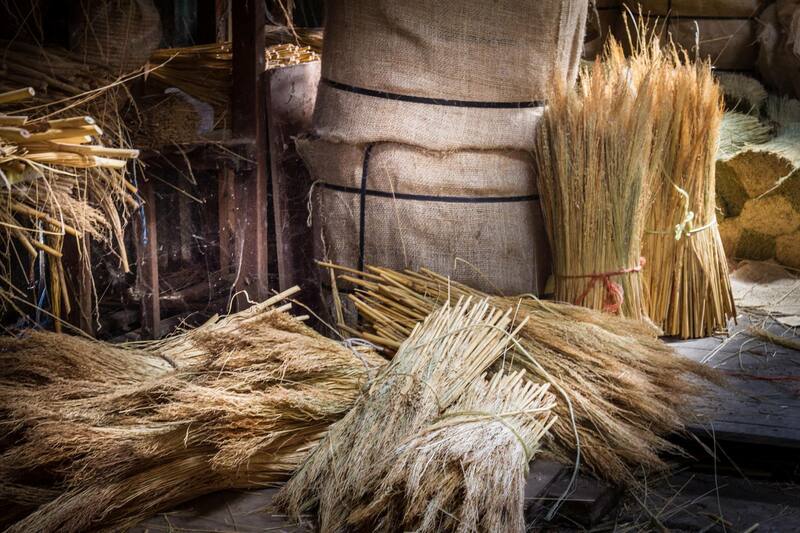 Do you have anyone in the Hunter Valley or Newcastle region stocking your brooms? Great article on BHG do you have stockist on Sunshine Coast Qld. Familiar with Tumut love the area. Could you advise stockists in western sydney metropolitan area please. Would like to order a broom please. Will take three if easier. Mail central coast nsw. and quality is still produced in this country. this day..ahh but the quality is not there.! Will certainly call in when in your region again. Are there any retail outlets ? East Gippsland Vic ? Thanks for your comment Jen. 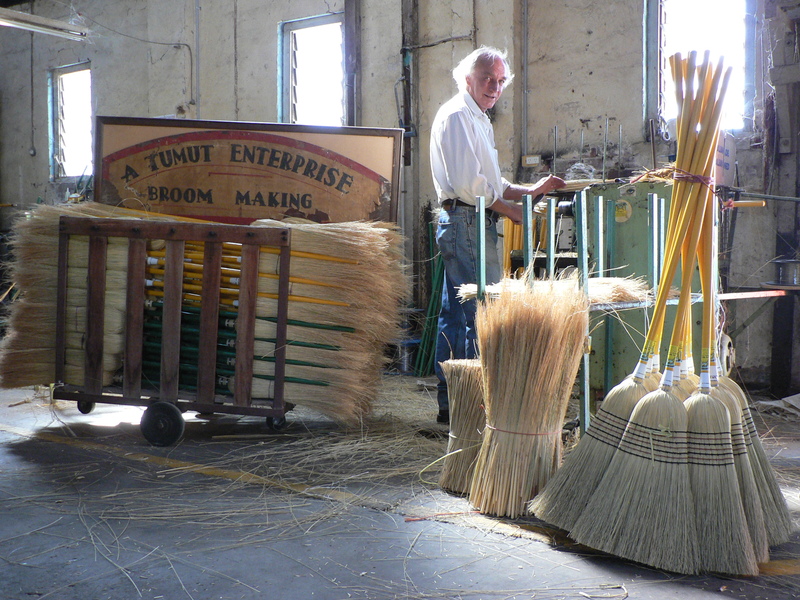 Please refer to our newly added stockists page: https://tumutbroomfactory.com/stockists or consider visiting Tumut again to purchase a broom directly from the Factory! Do you have a stockist in Adelaide? What a wonderful discovery! 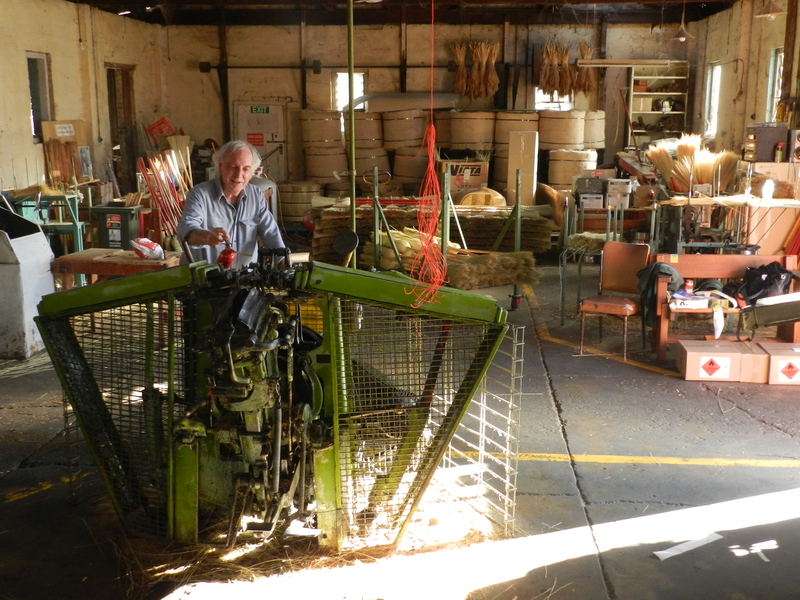 Just saw the Tumut Broom Factory featured on better homes and gardens. Can I still buy the brooms from Balmain in Sydney? It was great seeing your business on House & Garden Friday night…. I didn’t realise the straw brooms were still handmade. It was wonderful seeing how they are made….I hope you receive alot of orders and keep this amazing Australian Made Company staying strong. If you have any stockist on the Gold Coast I would love to purchase one. Im a fan of supporting aussie products. I love these old school ways. Just saw your segment on getaway. Do you sell these brooms in brisbane or online? Do you supply to any retail outlets in Wollongong ? Do you have a list of suppliers where we can buy a broom? That would be really helpful, they are hard to find and I think plenty of people would buy them given the chance, so a list on the website would be fantastic. Are your brooms available in Wellington, New Zealand, or anywhere else in New Zealand? Just saw you on better homes and gardens. Do you have a face book page? Fantastic product.